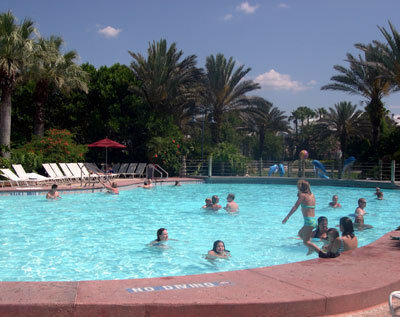 Â For example, depending on the size and configuration of the pool(s), the building and/or health codes of most jurisdictions typically require that, at a minimum, the water depth be indicated by signs that are mounted in the pool deck at specified intervals and on the vertical wall in the tile line. Additionally, if there is no lifeguard on duty, then most jurisdictions require a sign advising swimmers of that fact. 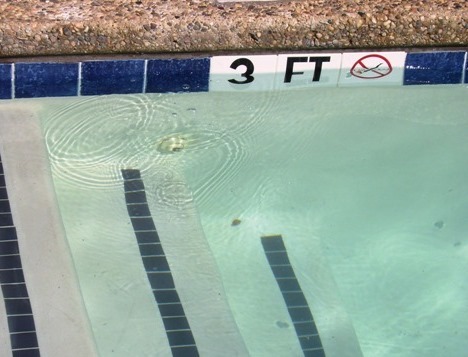 “…an outbreak associated with a swimming pool and attributed to chloramine exposure led to cough or ocular symptoms in > 70% of pool patrons interviewed.Â Â Chloramine levels in pool water depend on chlorine and nitrogen concentrations, pool pH, temperature, and water circulation patterns. However, chloramine levels in the air above swimming pools are also influenced by ventilation and the pool water chemistry. Indoor pools are likely to be less well ventilated than outdoor pools, so the risks associated with chloramine exposure are likely to differ between indoor and outdoor swimming pools. 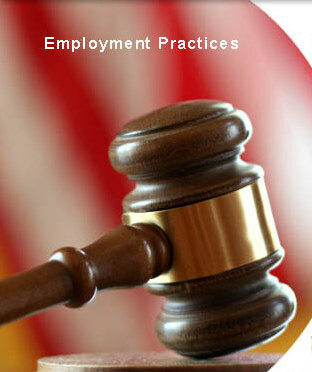 With the average defense cost of a single plaintiff suit hovering around $100,000 and the average award at about $500,000 based on lawyersâ€™ anecdotal reports, employment practices liability insurance has become a must-buy policy for most businesses for protection against claims of wrongful termination, sexual harassment, and age and race discrimination. If the U.S. Immigration and Customs Enforcement opened a costly investigation of your business and employment practices, would the legal costs be covered under your existing employment practices liability insurance policy? For many companies, the answer is surprisingly no. When underwritten with the right enhancement, an EPLI policy can also provide valuable protection against immigration-related issues and government inquiries, which have risen dramatically in recent years. Notice of Intent to Fine (NIF) cases have also risen substantially, from 32 cases totaling $2.3 million in fines in 2008 to 142 cases totaling $15.8 million in fines in 2009. 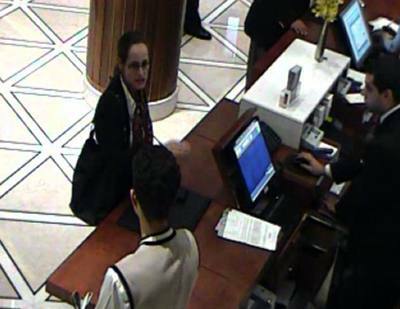 The Austin Police Department said thieves hacked intoThe Driskill Hotel management company’s accounting system and stole customer credit card information. Authorities said they do not yet know exactly how many victims may have been affected, however, locally, police have received about three dozen complaints of fraudulent transactions, averaging $2,000-$3,000 each. Losses are expected to total hundreds of thousands of dollars.Â The United States Secret Service is also investigating. San Diego police have begun a pilot program that gives officers access to security camera video inside their squad cars. Officers see it as the way of the future. The program is a partnership between San Diego Police Department and the Hotel Indigo, located downtown. If hotel staff call the police, an officer in a squad car can click the hotel location on a Google map, and immediately see live video from the hotel’s security cameras. Police say this will allow them to see crimes in progress, to see suspects and see which way they’re going when they flee. The privacy of hotel patrons was a concern. But Mayor Jerry Sanders said cameras are already a fact of life. The Best Western Inn in Socorro shut down its pool and spa after the state Health Department and the Environment Department said two people who stayed in the hotel contracted Legionnaire’s disease. The state Health Department lab confirmed last month that water collected from the hotel contained Legionella , the bacteria that causes the Legionnaireâ€™s Disease, spokeswoman Deborah Busemeyer told The Independent. â€œWe did have a couple of people from South Carolina diagnosed with Legionnaireâ€™s Disease and the likely exposure was the hotel,â€ Busemeyer said. Kimberly Grajales was working the overnight shift as a clerk at the Hampton Inn in Carlstadt when a mentally disturbed man climbed over the front desk and attacked her. 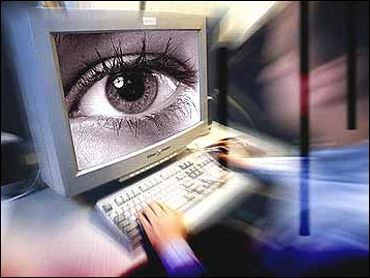 Grajales managed to push the panic button on the wall, and thought police would soon arrive. No one came. The silent alarm at the Bergen County hotel had been broken for months, and Grajales ended up struggling with her attacker for 30 minutes before escaping to another guestâ€™s room, where she dialed 911. A hotel surveillance camera captured the 4 a.m. incident, which happened on July 4, 2008. The attacker nearly bit off Grajalesâ€™ finger, and the panic button was stained with her blood, local police said. Scott Stuckey, general manager of the Omni Jacksonville Hotel, said his industry as a whole has been pushing for increased worker safety, with many setting up safety committees. Omni Jacksonville’s safety committee meets monthly to review accidents see how they could be prevented and inspect the hotel for potential hazards. The number of employee injuries at the Omni has declined over the last few years, along with the workers’ compensation settlements attached to them. 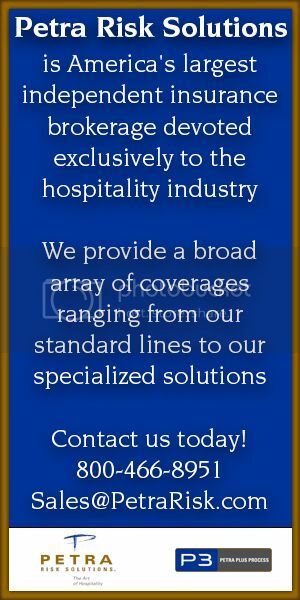 In 2007, the hotel had seven claims with a payout of about $7,000, compared with 2006, when it had 13 claims and a payout of a little under $12,000. The 2007 figure doesn’t take into account accidents in December, because they have yet to be calculated. Stuckey said as turnover decreases, so does the number of injuries, because employees with more training tend to get injured less than newly hired ones. This may also explain why there was an increase in injuries during the industry’s initial boom, when the number of new employees increased. Â This Independent Pool and Spa Service Association (IPSSA) video outlines safety issues at commercial pools and spas. Recent data show that Latino workers are more prone to workplace-related fatalities and injuries. Safety consultant Art Pedroza offered companies an alternative to medical payouts and legal fees: train the workers how to not hurt themselves. “Latino workers are exposed to more risks and mortalities in the workplace than other workers. That’s more reason to emphasize how to keep them safe,” said Pedroza, outgoing president of the Orange County chapter of the American Society of Safety Engineers. He spoke at a chapter meeting held Wednesday at the Anaheim Park Hotel in Fullerton.